Fittingly, Joan Rivers had a lot of opinions on what her funeral should be like. In her 2012 book I Hate Everyone…Starting with Me she explained that she wanted her burial to be a fabulous affair with paparazzi and Meryl Streep crying in five languages and a fan blowing her hair like Beyoncé's. Well, it might not be exactly like that, but so far what we know about her funeral so far, it will be an appropriate affair for the legendary woman. Us Weekly reports that the frequent red carpet host will have a similar scarlet carpet at her funeral for guests to arrive in style. After that portion of the event, the rug will be buried with Rivers herself. And there are sure to be a lot of stars there to leave their celebrity footprints in the carpet. After Rivers' death was announced, tons of her Hollywood friends paid tribute to her on Twitter, and a source tells Us Weekly that "a lot of celebrities confirmed," for the funeral. The service is taking place on Sunday in Manhattan at the Temple Emanu-El, a synagogue on the Upper East Side. Senior rabbi Joshua Davidson released a statement saying, "It is a terribly sad day for all of us. 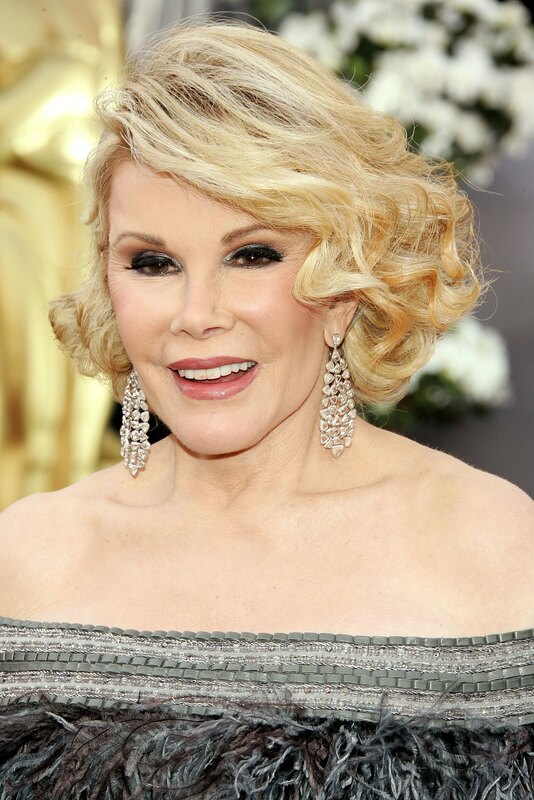 We mourn with her family, friends and all those millions to whom she brought laughter and joy." Rivers was not fond of sending condolences, saying once, "I hate people who try to make you feel better. Like... the minister who says, 'He's in a better place now.' I'm tempted to yell out, 'No he's not. He had a house in the Hamptons. What's wrong with you?'" No doubt trying to respect her wishes, her family has asked that "in lieu of flowers, donations can be made to God's Love We Deliver, Guide Dogs for the Blind or Our House Grief Support Center." We don't know much else about the comedian's final event, but we're sure it will be as fabulous as the woman itself, red carpet and all.